Shawn’s practice focuses on a wide range of issues, including business litigation in both federal and state courts on behalf of plaintiffs and defendants. 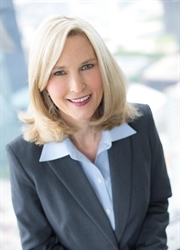 She also has experience in cases involving energy litigation, complex commercial disputes, product liability, wrongful death, catastrophic personal injury, securities fraud, and white-collar criminal matters. Her background also includes work in international mass tort claims and national class actions. Much of Shawn’s practice is devoted to defending lawyers and law firms against a variety of professional negligence claims, breaches of fiduciary duty claims and fee disputes. It’s experience that she’s used to help her colleagues steer clear of morally grey areas, and that’s helped her to be a better attorney. Shawn works hard to build a relationship of trust with her clients. The stronger that relationship, the better she’s able to represent them through all aspects of their case. Participated in defense of legal-malpractice claims seeking over $100 million from Dallas law firm, resulting in Dallas Court of Appeals affirming trial court’s judgment and eliminating all claims. Participated in defense of breach-of-fiduciary-duty claims seeking several million dollars from national law firm, resulting in Dallas Court of Appeals affirming trial court’s judgment and eliminating all claims. Obtained summary judgment on behalf of large law firm defendant in case involving fraud and breach of fiduciary duty, eliminating all claims against it. Defended large law firm in federal court against receiver seeking $136 million in damages where summary judgment was granted on the majority of receiver’s claims, resulting in a settlement on favorable terms to law firm. Obtained summary judgment on behalf of national law firm eliminating all claims against it. Obtained non-suit of claims against Dallas-based law firm in case where plaintiff sought several million dollars in recoveries. Defended large law firm against malpractice claims and reached settlements to client’s satisfaction. Successfully defended pipeline company in dispute with oil and gas producers. Substantial confidential settlement for physician plaintiff in catastrophic personal injury matter. Substantial confidential settlement for family whose wife/mother was killed in collision with cement truck. Defended large international commercial enterprise against claims by injured customers that settled on favorable terms. Represented corporate officers and directors in suit involving claims of breach of fiduciary duties. Represented property owners association and directors in multiyear, multiforum dispute with property owners. “Foreign Sovereign Immunity: When is a Sovereign Really a Sovereign?” 10 L. & Bus. Rev. Am. 243.